Marketers are living in a golden age of marketing. No longer do marketers have to rely on mass-marketing initiatives to help reach desired audiences. Instead of launching multi-million dollar campaigns across TV, print, and billboards, marketers can now zero in on precise audiences, at that correct moments, with messaging that will resonate. 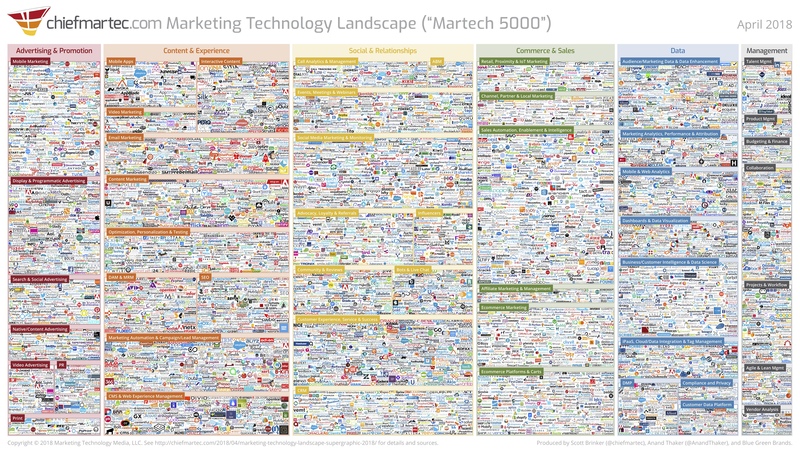 This change has occurred, in large part, due to the explosion of the Marketing Technology (MarTech) space which has grown 700% in size in the past 5 years. With 49 sub-sections located inside the 6 main MarTech pillars (Advertising & Promotion, Content & Experience, Social & Relationships, Commerce & Sales, Data, and Management), this technological expansion has impacted every step of the customer journey. As such, the buying power that Marketing teams have now has exponentially grown. In fact, eMarketer put out an article titled “Martech Is Eating Up CMOs’ Budgets,” stating that in 2018, marketing technology will surpass labor costs as the number one expense for marketing companies by accounting for 29% of all marketing costs. Though, with great buying power comes great responsibility. In today’s highly connected and integrated ecosystem there are many things to consider before simply applying your e-Signature on your next MarTech contract. Marketers love a new shiny toy. Before falling into the trap of purchasing new technology because of a PR story you read or something you saw at a trade show. We recommend starting the process by determining what your organizational needs are, not what features from a software vendor caught your attention. This may sound simple but is actually one of the most common errors that occur. By getting caught up in the excitement around how this new vendor might solve a particular issue, Marketers can lose sight of the overall picture and the priority that issue might actually have compared to everything else the organization is facing. Once these needs have properly been assessed, begin a vendor review by determining all the vendors that might solve your identified needs. 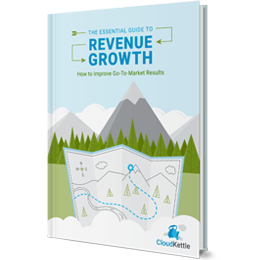 This exercise will help you recognize which vendors suit your current needs and also help determine your needs as your organization continues to grow. If you do come across a vendor, that opens your eyes to an issue you didn’t know you had, you should still take your time and conduct a thorough vetting process. Think about the true problem this vendor is solving and then compare them to other vendors in the space that offer similar solutions. Another aspect that is often underestimated or not accounted for is implementation costs. Often, even a simple $10/month App integrated with Salesforce will require employee time and money to implement. It’s always in the best interest of the vendor to sell the implementation process as simple. The onus lies with the organization to consult different internal teams to understand what the cost of implementation will look like. With SaaS contracts often being a minimum of one year, investing the time to properly vet vendors will save you the time, money, and the headache of future regret once the initial shine of the vendor wears off. The rise in popularity of Customer Relationship Management systems over the past decade has been staggering, with Salesforce, which has 4X the user base of the next best competitor, leading the charge. As Salesforce has become the system of record for many organizations, more and more companies are leveraging solutions from the 3500+ Apps available in the AppExchange. However, this presents a new challenge: what should organizations consider before installing a 3rd party application? a) Does my Salesforce instance have enough Custom Fields and Custom Objects available to install the package required with this purchase? b) Are there any other projects happening within the organization that require installations into Salesforce? c) If there is not enough space available for all upcoming projects, which has the greatest overall business impact? As powerful as marketing technology is, it is only as good as the person(s) using it. Making sure the internal resources are available to properly utilize this new marketing technology is of critical importance. Employees are already busy with other priorities and too many times software purchases are made without asking who will own its success and how those responsibilities fit into everything else they are focused on. Before you make any technology purchase decide who will own the internal success for the solution. This will ensure the platform is properly utilized to achieve the results and ROI that were expected going into the signed agreement. 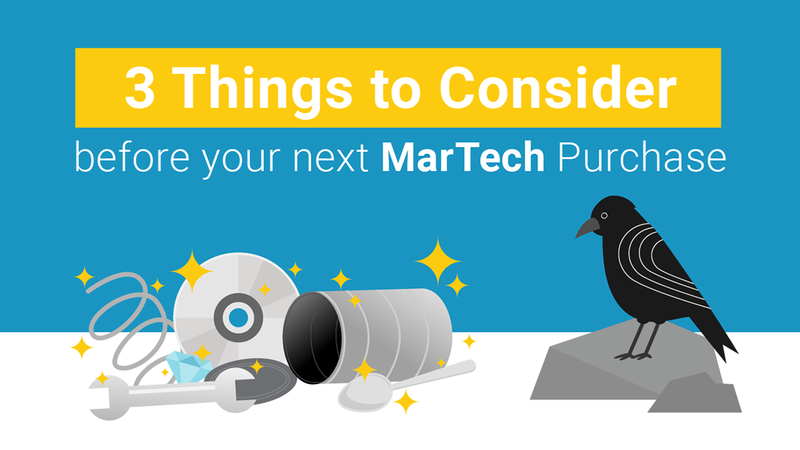 Have questions about how to make smarter MarTech purchasing decisions at your B2B SaaS organization? Get in touch. We have a long history of helping SaaS organizations validate vendors and love solving new challenges. 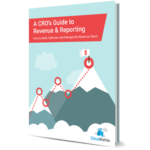 If you enjoyed this post you might also like our Essential Guide to Revenue Operations eBook.